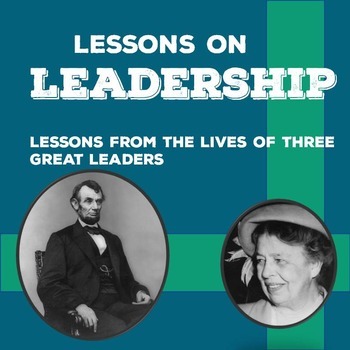 Get students thinking about characteristics of great leaders through three short passages about Eleanor Roosevelt, Abraham Lincoln, and Dan West. 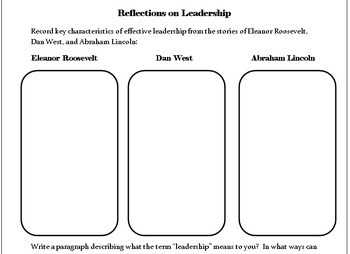 Perfect for Student Council, Student Leadership, AVID, Advisory, or other Character Education learning opportunity. 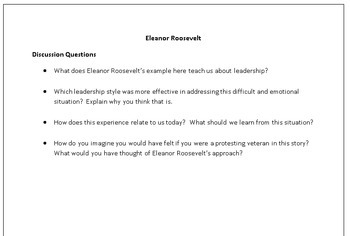 Class discussion prompts and reflection activities get all students participating and exploring what it means to be a leader. 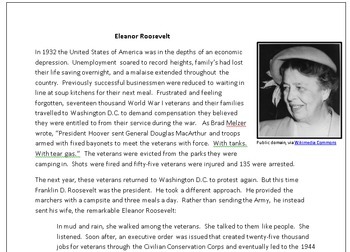 - One page stories illustrating leadership in action from the lives of each of the following: Eleanor Roosevelt, Dan West, and Abraham Lincoln. Check out the preview to make sure this is a great fit for your class! Another product from the Idea Galaxy Store.